When artist incorporates text into paintings, it always shifts the concept and focus of the work. It often makes me wonder whether the artist should be praised for his or her cleverness or be reproached for lack of visual creativity to convey meaning through imagery rather than relying on the semantics of the text. As they say, a picture is worth a thousand words, or is it a good picture that worth a thousand words? Maybe I am just old-fashioned for saying this, but when it comes to Michael Riedel's works, I shall beg to differ with what I just said earlier. 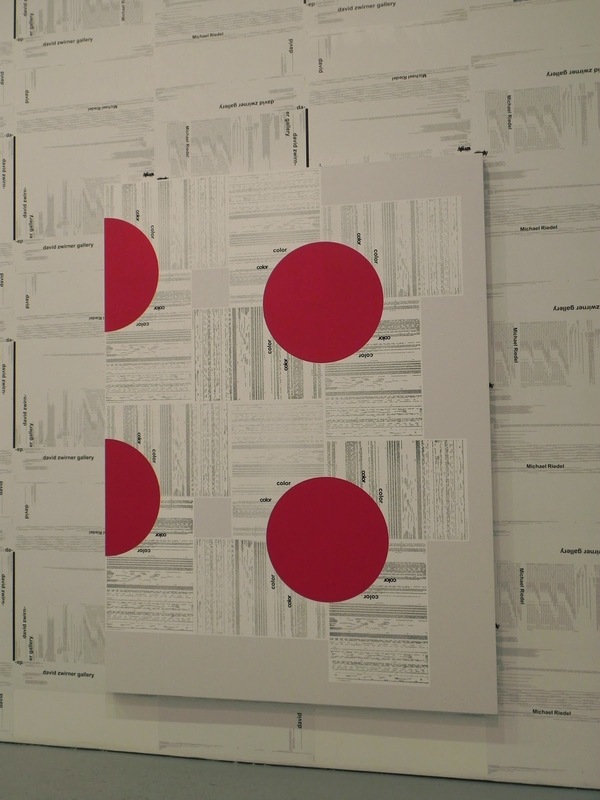 In his work, the linguistic power of the text is obliterated and they are just visual reference to themselves. 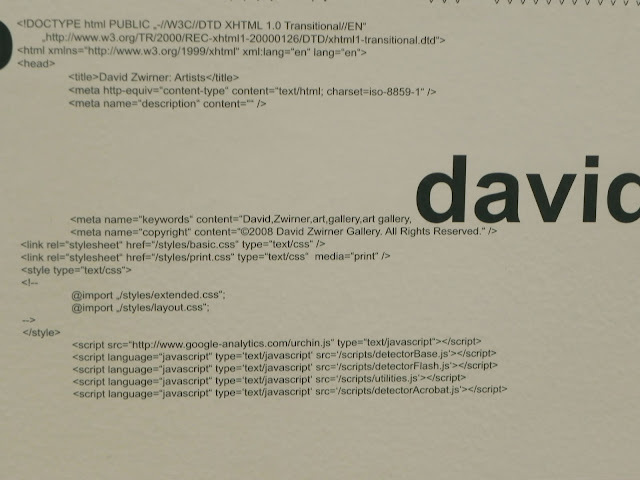 First let me explain that the text he uses is actually website links that has been copied and pasted also manipulated before being integrated as seen in these works. In this sense the text has the function as a vehicle for another kind of information that isn't derived directly from the meanings of the words. What I enjoyed about this exhibition is also that the humor of the artist is quite prevalent to the visitors. The playfulness began with the title of the show - The quick brown fox jumps over the lazy dog. For some that have worked in graphic design or have dealings with typography will know that it is the phrase that contains all the letters from a-z and is commonly used to test fonts in print. In other words, there is no fox or dog in this show, the title alluded me that the letters and words in the works would serve a separate function from their usual linguistic function to convey meaning. 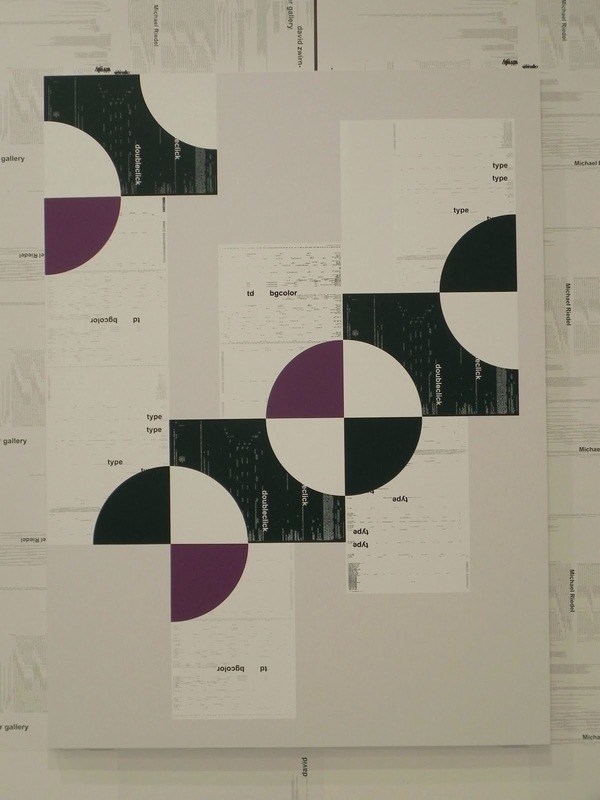 Here I have included a detail of the text wallpaper that the gallery specially made for this installation. 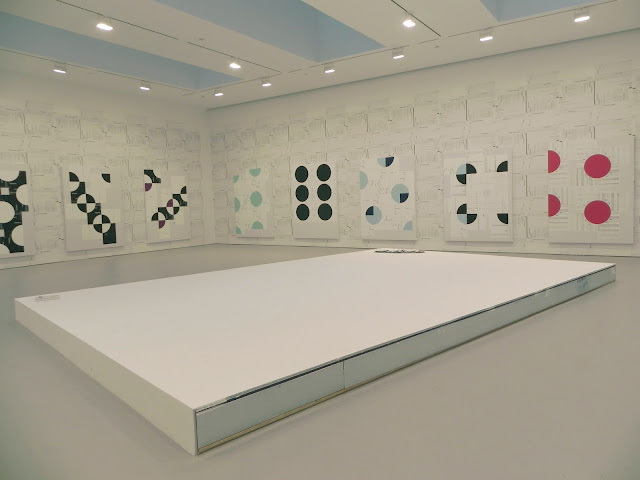 By printing them with the artist's web-link of the gallery multiple times with variations in symbols, the wall is visually integrated with every piece of the work also in a way makes the whole installation looked as if a single piece of work. The other element of humor is that at the artist request the gallery is re-using a piece of dry-wall as the center resting seat for visitors to browse the works and the catalogs of the show. Aesthetically, this unconventional treatment of the dry-wall really worked with the minimalist look of the individual works as well as on whole installation. Now I wonder, if someone wanted to buy the work, would that include the gallery wall, too? The quick brown fox jumps over the lazy dog by Michale Riedel is on view at David Zwirner until March 19.